How do you know which form of meditation is right for you? If you’re considering establishing a meditative practice, or are currently meditating, what follows are a few good reasons to explore what Sahaja meditation can do for you. Sahaja uses the innate subtle energy that we are all born with to help achieve a state of meditation known as thoughtless awareness. It does not use devised methods of concentration of mind control training to achieve this state. In Sahaja, meditation is a state of higher awareness that you naturally fall into. An energy-based Sahaja meditation practice is, by its very nature, a holistic approach to self-improvement. It has the potential to automatically improve the whole person — mind, body and soul. Most forms of meditation and yoga address portions of the spectrum of meditation, health, self-improvement and spirituality. It is possible to pursue Sahaja with emphasis on any of these facets at any point in time depending on the goals and outcomes you wish to achieve. Yet, the underlying practice provides longer term and sustainable benefits in each area. Sahaja meditation is a living science that gradually unfolds as your meditative experiences grow deeper and stronger, and can become, over time, an ever-evolving resource for self-improvement. It is not a one-size-fits-all form of meditation that focuses on enhancing only one specific trait or characteristic. Nor is it a devised, stringent technique like many forms of meditation, such as concentrative meditative practices that involve focusing on an object for long periods of time in order to achieve the state of meditation. Sahaja is about something else entirely: It’s about influencing the natural energy already residing within each of us — the inner Kundalini energy. This subtle energy is made to rise through a simple initiation process and, during this process, the state of meditation is automatically triggered. An inherent goal of a Sahaja meditation practice is to make you the master of your own journey of self-discovery. You can set your own self-improvement goals and tailor your meditative practice to achieve them. Everyone is free to explore any aspect or level of Sahaja meditation at any time, or to ignore or “opt out” of any aspect they’re not comfortable with or don’t find personally useful. The core of the Sahaja practice focuses on achieving the unique state of thoughtless awareness. This higher state of consciousness allows us to feel peaceful and balanced, while, over time, improving every aspect of our mental, physical and spiritual well-being. Thoughtless awareness is a higher state of consciousness, a state of purified awareness, in which we are able to remain relatively thought-free, ego-free and emotionally detached. Our attention is focused inward on the flow of experience rather than on the contents of experience (e.g., thoughts and feelings), allowing us to segregate awareness itself from the contents of awareness. Ultimately, this process of focusing inward with a nonreactive, nonjudgmental attitude can trigger dramatic shifts in our perspective of ourselves and of the world around us. It is, at once, both an extraordinary and practical technique of self-care. We are able to train our attention automatically, which heightens self-awareness and allows us to bring cognitive and emotional processes under conscious, voluntary control in our daily lives. We’re free to develop the deepest insights into the nature of cognitive, emotional and spiritual processes, consciousness, identity and reality — in other words: We develop a deeper understanding of Self and the universe, which results in an optimal state of psychological well-being. The goal of Sahaja meditation techniques is to elevate the practitioner’s experience above the normal mental plane. Imagine a two-story building in which the mental plane is a noisy ground floor where thoughts and feelings collide and you’re struggling to tune out the noise. But when the Sahaja technique elevates your attention to the second level, you find only serene, pure silence — thoughtless awareness. Thus, thoughtless awareness is a higher state of consciousness than states such as mindfulness, which might be viewed as a ground floor level of the state of thoughtless awareness. 2) its ability to grant the state of thoughtless awareness, which several studies have found to facilitate deeper healing and self-improvement (e.g., (Zollo &amp; Berchicci, 2007; Aftanas, et al, 2002; 2005). For a comprehensive look at these individual topics and evidence of the physiological mechanisms through which Sahaja may influence our mental health and well-being, see the Mental Health & Well-Being section. For those who choose to take a deeper journey, Sahaja meditation is a vehicle through which you can explore spirituality at the deepest levels imaginable. For an in-depth look, see the Spiritual Benefits section. While you can freely experiment with various Sahaja techniques to determine what’s most effective for you, the nature of the Kundalini energy’s movements through the energy system is not experimental, unpredictable or uncontrollable. The subtle energy is a living, breathing thing, but it follows a well-defined path through the human body that ultimately connects to the all-pervading universal energy and is associated with precise outcomes. The inner workings of the subtle energy system have been consistently and repeatedly verified throughout more than four decades of Sahaja practice. The subtle energy system ultimately becomes a valuable self-discovery and diagnostic tool. 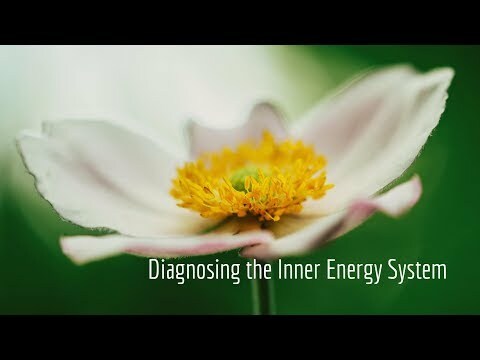 Once your inner energy has been awakened, Sahaja techniques can help you diagnose problems with individual energy channels and chakras, then use specific clearing techniques to correct them. By the same token, this heightened sensitivity, along with a knowledge of the qualities associated with each chakra, helps you pinpoint aspects of yourself that you need to improve. This special sensitivity and “vibratory awareness” can become a much more reliable gauge of your true inner state than conscious, deliberate self-analysis, which can be subject to defense mechanisms such as denial or rationalization. In fact, once your inner energy has been awakened (a one-time event), you can often feel it moving throughout your body as you go about your business each day, even when you’re not meditating. For example, you might feel it rise and penetrate the crown of your head while you’re listening to music or chatting with someone. Once you become attuned to its rhythms, it becomes an internal, intuitive voice, guiding you down the path of self-improvement. For more, see the Subtle energy system diagnosis and health section. Some meditators struggle with certain initial aspects of Sahaja meditation, such as achieving the energy awakening, raising the inner energy, or achieving a specific desired outcome. Here at Sahaja Online, as well as at Sahaja meditation centers all across the country, you’ll find experienced Sahaja practitioners who are happy to pass along the practical wisdom of their experience to anyone who seeks it. We are glad to present our Instructors who conduct the Sahaja Online sessions and guide you every step of the way. Renown Indian spiritual leader Shri Mataji Nirmala Devi developed the Sahaja technique in 1970 with the goal of simplifying the difficult meditation techniques of ancient mystics. This made meditation easily and quickly accessible to everyone, including cultures not steeped in the tradition of meditation. 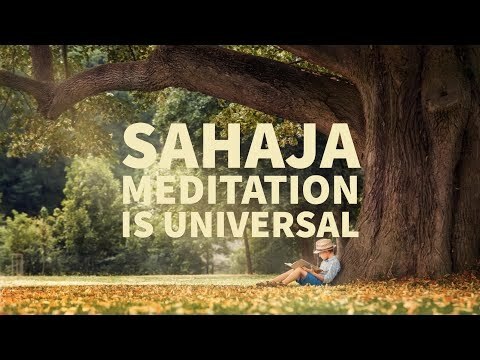 This modern approach to practicing Sahaja meditation places a greater emphasis on what matters most: the core meditative experience itself, the benefits provided by a meditative practice, and the freedom and flexibility for each practitioner to decide whether they wanted to explore more advanced spiritual concepts. What Sahaja meditation does is provide a conduit and method to harness the powerful subtle energy system far more easily, using techniques that are practical in today’s world. While Sahaja meditation was formalized as a method in 1970, the underlying instrument within us (the inner Kundalini energy), as well as the ability to use this instrument, has, of course, existed since the beginning of time itself. So, in exploring Sahaja meditation, you’re really exploring a self-improvement strategy that has aroused the curiosity of many others throughout the ages, many of whom experienced a life-changing impact. 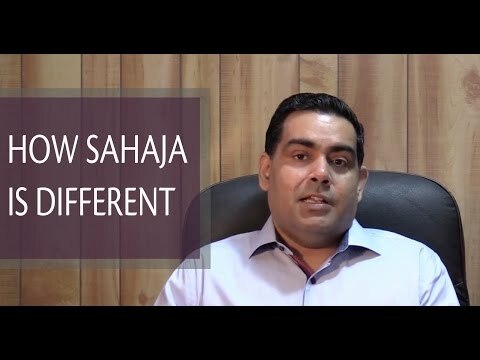 Sahaja is not a fad or trend or some kind of “new age” meditation practice built on satisfying the temporary needs of a specific generation. It is a practice deeply entrenched in ancient traditions.